Bahrain Center for Human Rights expresses its deep grave due to the crackdown led by the regime in Bahrain against anyone expressing his/her views demanding freedom, democracy and human rights, this time it affected the employees of both Ministry of Interior and Ministry of Defense which are chaired by members of the ruling family. The authorities have killed, arrested, and demobilized large numbers of their employees, BCHR has documented more than 248 cases. Since decades Bahrain’s regime practiced the policy of sectarian discrimination in the military, in the Ministry of Interior, Ministry of Defense and any other military institutions. Since the seventies and after the independence of Bahrain, the Bahraini authority led a sectarian discrimination and marginalization campaign conduce to separate and imprison large number of military personnel, this discrimination against Shiite in these institutions continued until this day, reaching its peak in last March, through murdering, imprisonment and torturing lots of Shiites working in the police and the army. To fill this void in the military institutions, Bahrain’s regime employs foreign forces in the security forces and the army. Since Monday, February 14, 2011 peaceful demonstrations inspired by the Arab spring in Tunisia and Egypt broke out in Bahrain, and many workers at the military stood side by side with the rest of the people demanding freedom, political and civil rights guaranteed by the international human rights covenants as well as the Constitution of Kingdom of Bahrain. Thursday, February 17, forces launched a surprised attack on the peaceful protestors at the Pearl Square in the early morning hours. This sparked an outrage among Bahraini people of all sects, affiliations and orientations, protests promoted Bahrain’s Crown Prince Salman bin Hamad Al Khalifa, to appear on the official TV trying to ease the demonstration and announced that every citizen has the right to express his opinion peacefully. Friday, March 20, 2011 Jawad Shamlan’s family received a phone call from the Ministry of Interior stating Jawad’s death in mysterious circumstances . Shamlan used to work at Al khamis police station, that day he had delayed from the usual time, his family tried to contact him several times on his mobile but with no avail. Until someone answered the frequent calls saying that your son was killed. The family received the corpse on the second day; Signs of live bullets appeared on his legs and stomach also, a sharp stab in his back . Pictures show the signs of bullets in martyr Jawad Shamlan legs and stomach, in addition to the stab in the back. Another military officer was killed Abdulaziz Jumaa Ayad, under torture with electric shocks in prison after being arrested by who thought they were military. On March 13, Ayad who works at Bahrain Defense Force disappeared and lost contact with his family, after days of his last phone call informing his family that he refused to be in the sniper squad to quell protests. March 24, an official at the military hospital called his family informing them with his death, later they found that he was killed under torture and electrocution and he was killed at March 17 according to the medical report, a week before his family was informed of his death. After that, the military hospital refused to hand over the corpse in an ambulance as it is common, but asked the family to take the body in their car. Picture of martyr Abdulaziz Jumaa Ayad with clear signs of torture. On Wednesday, 16-3-2011, S.S a military officer at Bahrain defense forces got arrested after investigating him about pictures he took with his friends. He was transferred to a place where nearly thirty masked civilians stripped him of his cloths and started beating and torturing him continuously using rubber cables and metals, they cursed him and his sectarian beliefs. On Thursday, March 17, they unmasked him and unscrewed the restrictions after threatening him; he was forced to sign a pledge without knowing its content, and then they asked him to forget what happened and not talk about it to anyone or it will be repeated. On 17-7-2011, S.S received his dismissal out of the military service without knowing the reasons. Torture signs at S.S body. After the brutal attack at the protesters at the Pearl Square and the death of 4 martyrs, a group of military personnel announced their withdrawal from the military objecting on killing innocent civilians and demanding democracy and human rights like the other protesters, Ali Jassim Ghanimi was the first one. He went to Salmaniya hospital to check on the wounded and dead, and from there he announced his withdrawal from the military protesting against the military and the police repressive practices against unarmed peaceful people. Ghanimi had disappeared after the peninsula shield force arrival to Bahrain and their attack at the Pearl roundabout, also after their massive arrest campaign led by the government at those who participated in the sit-ins and marches. Security forces raided Ali Ghanimi house and broke its contents, stole his money and precious possessions as revenge of him and his family. Moreover, in order to support the demands movement Ali Ghanimi started a page on “FACEBOOK”, but not for very long he got arrested and the page closed. Until now, Ghanimi sits behind prison bars since 28 March 2011 without a trail and without knowing his charges. Bahrain's flag expressing his peaceful demands and patriotism. After attacking the roundabout, bloody events sequenced, Shiite military personnel were targeted and discharged them from military, whereas most protesters demanding democracy and human rights are Shiites. As revenge the government started arresting group of them through raiding their houses at dawn, breaking all the house contents and in many cases stealing money and possessions. Furthermore, the government hastened the military trail without taking into account the international standards for the fair trial by having a lawyer and the right to defend themselves. The sentences ranged between 4 and 7 years. Perhaps the most prominent charge is "participating in a gathering intended to disrupt security," this is after some of them get on the roundabout's stage declaring their refusal to kill people, civilians and expressed their sympathy with the legitimate demands for democracy and human rights. Among those targeted military personnel were the brothers Alaa Hubail and Mohammad Hubail, football players in the Bahraini national team, both were arrested and tortured, in addition to several other players who work in the military. Although, Alaa and Mohammad were released after several months in jail their trial is still on, this prevents them from talking about what they have gone through. About 120 police personnel are behind Muharraq detention center bars, all of them have been investigated about participating in the peaceful protests for democracy and social justice. Some of them have had a fast trial while others are waiting for theirs . 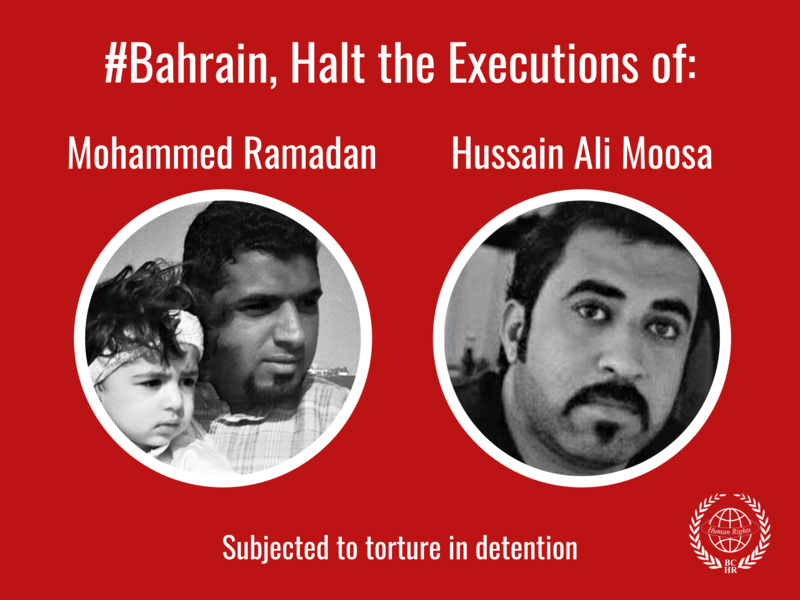 Almost all detainees in Bahrain have gone through systematic torture whereas 4 citizens were killed behind jails since the beginning of the protests in February. Notably, targeting military personnel began before March 16, which is the date of the Peninsula Shield forces arrival and attack at the pearl Roundabout. Yousif Salman Jerdabi who’s an employee at the military hospital has disappeared at March 11, 2011. Then, one of his colleagues called his family to inform them that their son got arrested on the charges of taking pictures of wounded, although there were no wounded at that time. Moreover, the campaign has targeted personnel at silly reasons , such as Mohammad Owainati, whom was talking to his friends and asked “ Why don’t Prime minister Sh. Khalifa bin Salman Al khalifa just step down? “ Mohammad got arrested and trailed exactly after asking this question. Another one got arrested because of a joke he sent via SMS to his friend who snitches on him, like Sayed Ahmad Abbas Alalawi. Lots of the detainees were arrested because there are pictures of them in the pearl roundabout, and were published on FACEBOOK or TWITTER by intelligence forces. Even a picture related to the last protests in their mobile is enough to drag them to jail and convicted them with not less than two years that is what happened to Hussain Ali Ahmad Isa. And Sayed Qasim Hadi Marzouq- awards winner in Bahrain and Gulf as the best sniper in bird shot- got arrested because of his refusal to shot protesters in the democracy protests. Even resigned police officers had their share; Redha Kathim Owainati refused what was happening and resigned. However, he got arrested. Not less than five military offices are missing since the day of the pearl roundabout attack, March 17, without even their family knowing where they are, like Sayed Ali Sayed Ashour – Volleyball player- , the security forces still raid Naseem yousif Hussain house to arrest him, they have threatened his wife if he did not surrender himself, they will arrest all her brothers. Another one is Hassan Khalil Aqsh whose house had been raided three times, and his brother was threatened to be arrested from school, which urged him to convert his study to “home schooling”. Bahrain’s authority justified the arrest of hundreds of military personnel with the law that prevents military personnel to participate in any political gathering but even to join with political assemblies. As a clear violation of Articles 19 and 20 of the Universal Declaration of Human Rights, Article 19: Everyone has the right to freedom of opinion and expression; this right includes freedom to hold opinions without interference and to seek, receive and impart information and ideas through any media and regardless of frontiers. Article 20: Everyone has the right to freedom of peaceful assembly and association and no one may be compelled to belong to an association. Bahrain Center for Human Rights has previously documented the discrimination against the Shiite population in employment at the security services, which represent the largest recruitment in Bahrain (more than 60 thousand workers) and receive the largest budget in state , though the percentage of Shiites in it do not exceed 1%. BCHR believes that all those military personnel have been thrown in jail not because they are involved in any pro-democracy protests, but on the basis of their sectarian and religious background. The Interior Ministry and the Bahrain Defense Force profiteered from these protests to purge their institutions of the few remaining Shiites. Now, those institutions became models of cleansing and sectarian discrimination practiced in Bahrain. Bahrain’s minister of defense Marshal Khalifa bin Ahmed Al Khalifa is from that part of the Khalifa’s who have a hostile history with Shiites since the beginning of the last century, but now; he dragged most of the khalifa’s family to hate Shiites. 1. 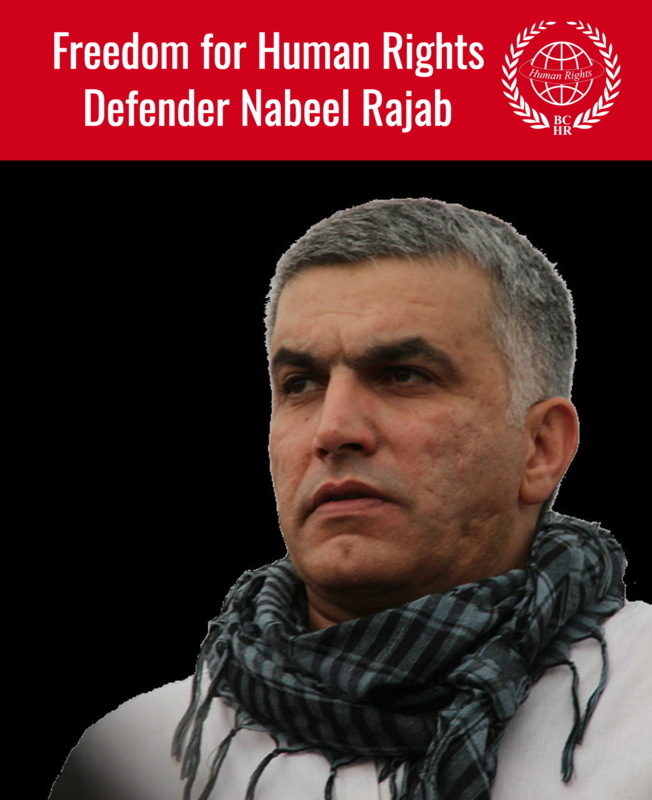 Release of all prisoners of conscience from the military and civilians immediately 2. Investigate those in charge of killing, imprisonment and torture military personnel publically and transparently, also, compensation for all the crimes committed against them and pin them to work. 3. Stop the systematic discrimination against Shiites in state institutions and open the chance for them to work in the military and civilian sectors, so these institutions reflect the national fabric of the country's religion and social. 4. Stop bringing foreigners to work in the army and police, and stop using mercenaries in the security services. 5. Alienate those figures in the ruling family who are behind discrimination, marginalization and sectarian distinction that have had much influence on what the country’s problems.